PAX BRITANNIA: Pax Omega - Coming Soon! It's only about a month now before Al Ewing's third Pax Britannia title Pax Omega is unleashed upon an unsuspecting world. Doc Thunder's last stand against a deadly foe whose true identity will shock you to your core! El Sombra's final battle against the forces of the Ultimate Reich! The Locomotive Man in a showdown with cosmic science on the prairies of the Old West! Jackson Steele defends the 25th Century against the massed armies of the Space Satan! 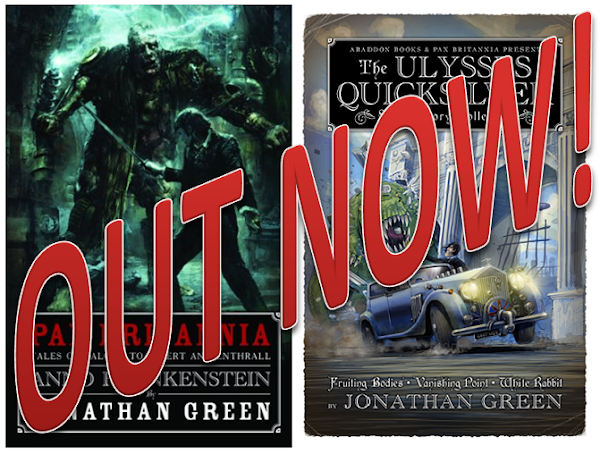 A duel of minds in the mystery palaces of One Million AD! 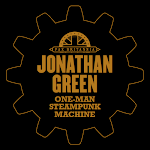 Blazing steam-pulp sci-fi the way you crave it! From the Big Bang to the End Of Time - eleven tales from Pax Britannia's past, present and distant future combine into one star-spanning saga set to shake the universe to its foundations or destroy it! Now before I begin this review I have to admit that I was one of the two guys who won the Genre for Japan auction to feature as a character within these pages. So I was already pre-disposed to liking the novel. That being said, even I wasn't prepared for how amazing this book was. The story begins at the dawn of time and travels forward touching on the time of the Dinosaurs, the Eighteen Hundreds, the old West, Modern Day, the 25th Century and One Million AD. It goes without saying that if you loved El Sombra, and went crazy for Gods of Manhattan; then this book is required reading. 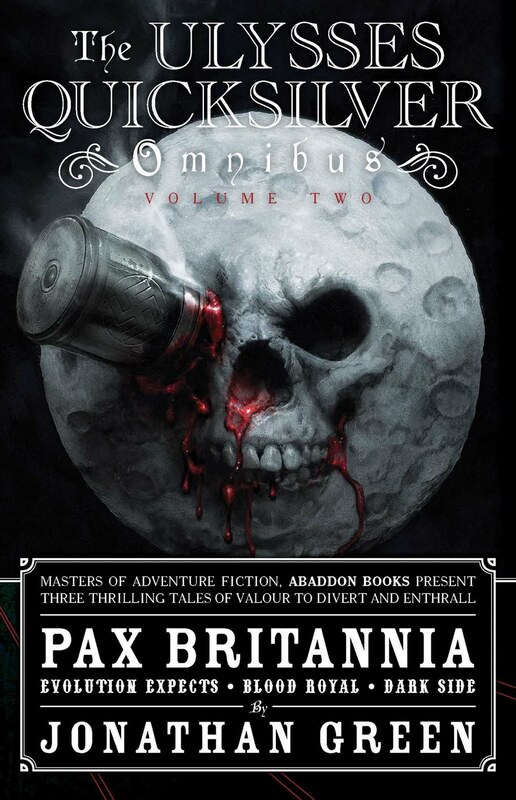 Unsurprisingly Pax Omega is a direct sequel to the two previous books, but it all serves as a prequel and a preview of what's to come in the main Pax Britannia series. As well as being so much more. I won't spoil it for you. I don't want to give too much away but I wasn't expecting the revelations that Al Ewing gives in the novel, but they blew my mind. With a book where there are such massive jumps in time, you could almost expect a disjointed series of vignettes. Ewing though manages to craft an engaging tale that has a different style of prose for each section. I'm not really doing Pax Omega justice; suffice to say the pacing and storytelling are woven so expertly that you'll not be able to put it down. 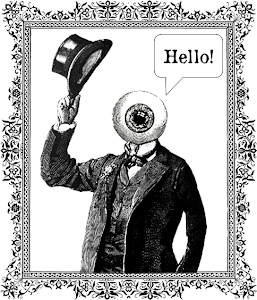 I hate to draw comparisons between authors but Al Ewing is without doubt the next Alan Moore or Grant Morrison. He has incredible ideas that while being completely bat sh*t aren't too dense to get your head around. 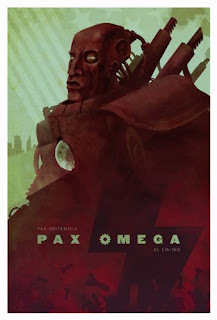 Pax Omega for sheer content is value for money and is a loving pastiche of Superhero story and Space-Opera. Al Ewing's love for genre fiction shines through and I without reservation recommend this book and its predecessors. 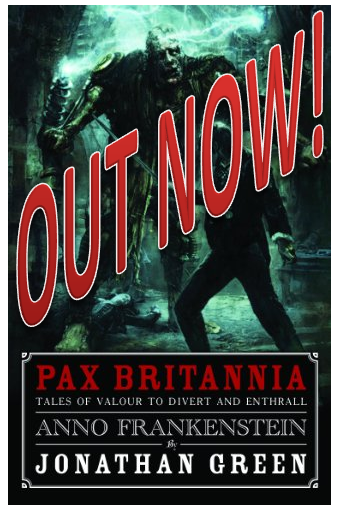 Remember, you can pre-order your copy of Pax Britannia: Pax Omega here. Oooo! Glad you liked my review sir. Can't wait for the next Time's Arrow section!